I will participate in a workshop at IREX in Washington D.C. on November 13, 2013. This Deep Dive will be an active event. We will mix thoughtful discussions with experiential activities, building social capital while we learn about social networks. Participants are encouraged to submit social media topics in advance so maps and reports can be generated for the event. Note that this event is in-person only, so please RSVP now to attend. I spoke in a webinar on Data Visualization and NodeXL hosted by SoftArtisans and now available on Vimeo. Thanks to Claire and Elise! Along with the Social Media Research Foundation, the Institute for the Future is co-hosting a meetup for those interested in mapping social media networks. Users of tools like NodeXL and Gephi (among others) are welcome to join us for an evening devoted to collecting, analyzing, and visualizing social media networks. Thursday, December 15th at 6pm at the Institute for the Future‘s offices in Palo Alto at 124 University Avenue, 2nd floor. November 9th 9.00 am – 5.30 pm. 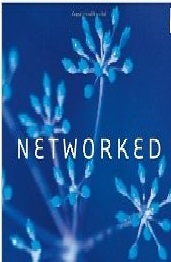 Course Summary: Networks are everywhere in the natural and social world. New tools are making the task of getting, processing, measuring, visualizing and gaining insights from network data sets easier than ever before. The rise of social media offers a new and abundant source of network data. The NodeXL project (http://www.codeplex.com/nodexl) from the Social Media Research Foundation (http://www.smrfoundation.org) offers a free and open path to network overview, discovery and exploration within the context of the familiar Excel spreadsheet. In this short course we will introduce the NodeXL application and review the landscape of networks, social networks, and social media networks. Using the tool, non-programmers can quickly select a network of interest from various social media and other data sources. Twitter, flickr, YouTube, email, the World Wide Web, and Facebook data can be quickly imported into NodeXL. Networks can then be analyzed and visualized using tools similar to those used to create a pie chart or line graph . 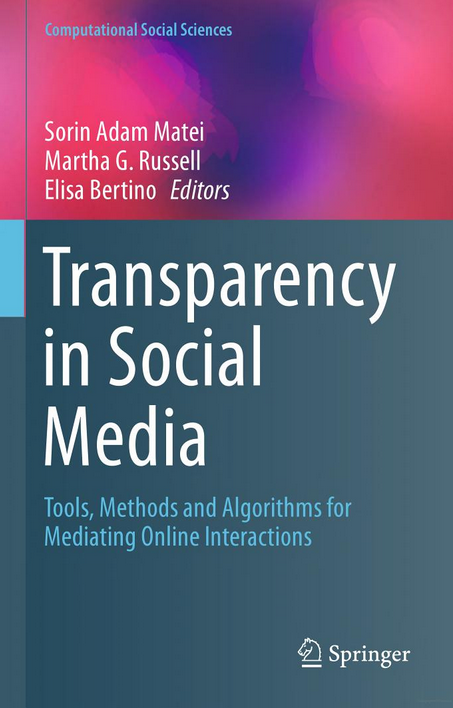 As the challenge and cost of network acquisition and analysis drops, abundant data sets are being generated that document the range of variation of diverse sources of social media. How many different kinds of Twitter hashtags exist? Using snapshots of hundreds of hashtags collected over a year, it is now possible to build rough taxonomies of this kind of social media. NodeXL provides access to a web gallery of data , allowing users to browse existing data sets and upload their own as well. Borrowing the vision of telescope arrays that create composite images far better than any individual instrument could, the Social Media Research Foundation envisions an user generated archive that provides a research asset that supports the collective effort to understand the structures and dynamics of network data. This course is suitable for people with some experience or interest in social media, social science, or social network analysis. 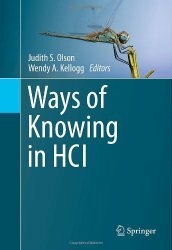 It is particularly appropriate for those who are involved in studying social structures and their change over time. Participants will need access to a computer connected to the Internet and will be supplied with the free NodeXL software. Orange is a major European telecommunications provider that has been focused on what they call the “porous enterprise” – organizations in which many of the previous boundaries and barriers between businesses and customers are gone. 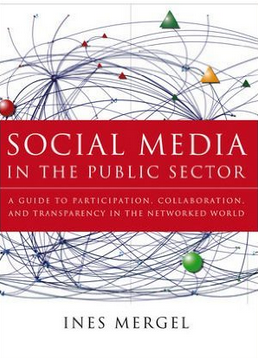 Social media flows in and out of companies and mixes with public collections of discussions about them. Locked down corporate laptops now are joined by employee owned mobile devices. Consumer social media products now mingle with enterprise social media. Corporations now engage directly with customers through public consumer social media services. For example, Orange has several Twitter accounts. @Orange provides general product information while @Oranger_Conseil and @OrangeHelpers provide customer support for French and English speaking customers, and @orangeapi offers technical information for developers building applications against services offered by Orange. There are several other related accounts. These are the connections among the Twitter users who follow or are followed by Orange when queried on September 30, 2011, scaled by numbers of followers (with outliers thresholded). Connections created when users follow one another. This is a map of the connections among the Twitter users who recently tweeted the word Orange conseil OR OrangeHelpers when queried on September 30, 2011, scaled by numbers of followers (with outliers thresholded). Connections created when users reply, mention or follow one another. It is characterized by a hub and spoke pattern created as customers who have few connections to one another are linked to one of the hub customer service accounts for English and French speakers. Mentions of these accounts are good indications that the topic is the Orange Telecom company and not the many other Orange entities (like Orange County, the fruit, and the color, among others). Searching for the term “Orange” or even “#Orange will likely bring back a large amount of these “name-space collisions” – overlapping uses of the term “Orange”. These are the connections among the Twitter users who recently tweeted the word #Orange when queried on October 3, 2011, scaled by numbers of followers (with outliers thresholded). Connections created when users reply, mention or follow one another. This network of connections among the population of people who tweeted the term “#Orange has many “isolates” – users who do not follow, reply or mention any other person in the network. These people all tweeted “#Orange” but they lack any connection to anyone else who did so. The large cluster of connected users is a group of people discussing the Orange Telecom company, while the other clusters involve people discussing the colors of Autumn (Pumpkins!). Once you start creating and collecting network graphs you may find you can build a significant collection: hundreds, thousands or tens of thousands of graphs may result from a study or on-going monitoring project. In a series of features in the NodeXL project we have enabled a workflow for constructing many social media network graphs using the Network Server component (see: How to schedule the creation of a network with NodeXL and Windows Task Scheduler and: New NodeXL Network Server (v1.0.1.126) – Frequently Asked Questions). This can result in a collection of *many* NodeXL (and GraphML) network files. Then we implemented features that enabled “Automation”, the application of many operations in NodeXL (metrics calculation, autofill columns, layout and more) to many files without direct human engagement (see: Automatic for the people (who use the latest NodeXL!). 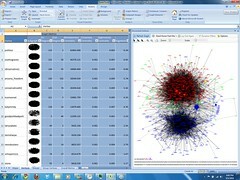 Release v.1.0.1.128 and: Fully automatic: NodeXL can build your network graphs hands free). This is a single slice of the network, a day out of months of activity. A still frame can tell a rich story: this is a picture of a crowd that has gathered to discuss a topic of common interest: “microsoft research“. It illustrates a structure common to many large discussions of popular topics — a large set of isolates (the rows at the bottom) who were not observed to have a followed, mentions, or replies relationship to anyone else who tweeted the same term. These are casual mentioners of the topic. At the end of these rows are a small number of dyads, triads, and small components of a handful of people who link to one another but not to the largest connected component. These are pairs or small groups discussing the topic among themselves, but none are connected to a larger component. Above these rows is the “giant component” — the blob of people who do have a connection to someone else who also tweeted a message containing the same term who in turn have a connection that leads to a large number of others. The giant component is itself composed of several sub-components of densely connected groups. At the center of each component are the core users, the people who often hold their cluster together. Between these clusters are the bridges, the people who link otherwise disconnected sub-groups. At the edges are the peripheral people who have just taken the first step up from being an isolate and have formed a single reply, mention, or follows relationship to someone else who also tweeted the search keyword and can bridge them back to the core of the giant component. This is a large and active network with hybrid qualities. There is a “brand” or broadcast element in it: the yellow cluster is a hub and spoke structure centered on the Microsoft Research Twitter account. These people re-tweet what this account publishes but do not connect to one another. Just a few of these people set off second and third waves of retweets. Elsewhere in the graph there are other network structures present, for example the green and blue clusters feature people are centered around their own discussions of the term “microsoft research“. The result of this feature is a workbook with a row containing the summary data from each of the workbooks in the target folder. Any arbitrary collection of network workbooks can be aggregated but this is particularly useful when the workbooks are sequential time slices. This chart tracks the number of vertices (each vertex in this case is a person our data collector saw tweet about the search term “microsoft research“) in each (almost) daily network snapshot. In addition the unique edges or connections between these Twitter users are plotted along with the number of people with no connections (“Single-Vertex Connected Components”). The size of the largest component in the network (“Maximum vertices in a connected component “) is a measure of the changing size of the core community of discussion participants. Measures like the maximum and average “geodesic” distance provide a rough measure of how long and thin (high values) or generally spherical (low values) a particular network is shaped. A “geodesic” is the longest path that can be walked through the network. 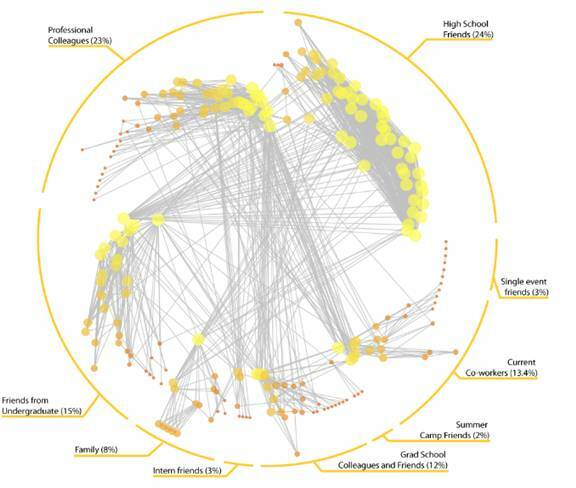 Long skinny networks may indicate the presence of loosely connected smaller groups that have a few people who act as bridges. Low geodesic values suggest dense networks with people connected to many others with few isolates and sub-groups. 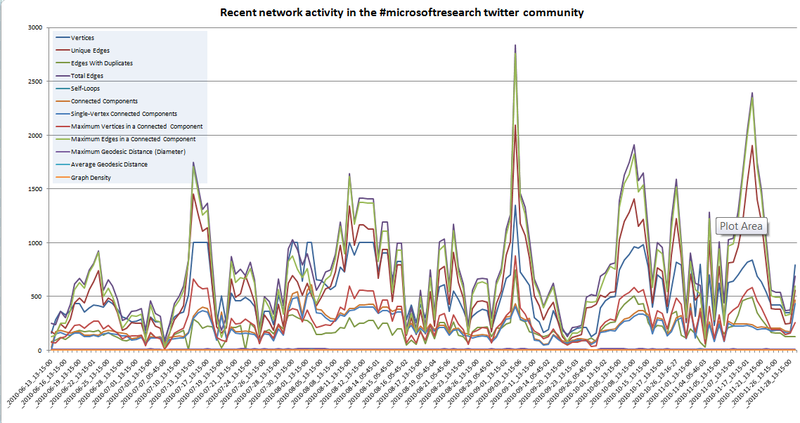 The peaks are closely associated with major events on the Microsoft Research calendar, like the 2010 Microsoft Research Faculty Summit event I attended in early July. I find the ratios between measures of the size of the large network component and the population of isolates to be interesting. As events go on over a period of days more people connect with others who are talking about the same topic, growing the size of the large connected component. But often the isolate population also grows during this time as people at the periphery of the topic network catch sight of mentions of the event and tweet about it. I could imagine one goal of social media management to be the conversion of isolates to connected component members. Those who follow, reply or mention even a single other person also talking about a topic are more likely to return and engage than those who have zero connections. It is not clear if more connections provide a linear increase in continued engagement, I suspect that the main effect is at the zero/one divide and drops off in effect after the first dozen or so connections. Encouraging cohesion and network density by replying to isolates and encouraging others to do so may help keep a social media population focused and growing. This feature follows the work done in the ManyNets project (http://www.cs.umd.edu/hcil/manynets/) at the University of Maryland by Manuel Freire, Catherine Plaisant, Ben Shneiderman, Awalin Sopan, and Miguel Rios. ManyNets also created a framework for managing the metadata about collections of networks. ManyNets provides for much richer interactions and linkages to the underlying networks than NodeXL can do so far. The Journal of Social Structure has released its First Annual JoSS Visualization Symposium results and two of the images were generated with NodeXL. One of the two is Bernie Hogan’s radial layout applied to representing Facebook Friend networks. 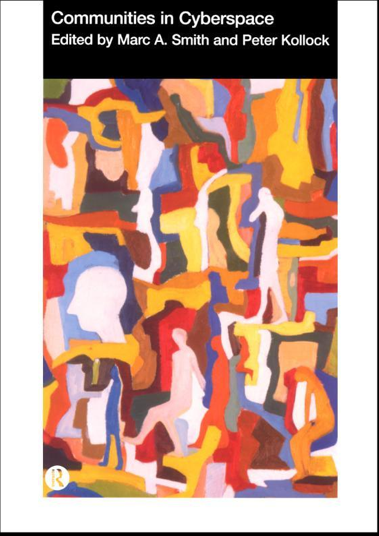 The Journal of Social Structure (JoSS) is an electronic journal of the International Network for Social Network Analysis (INSNA). Here is Bernie’s description of the graph. 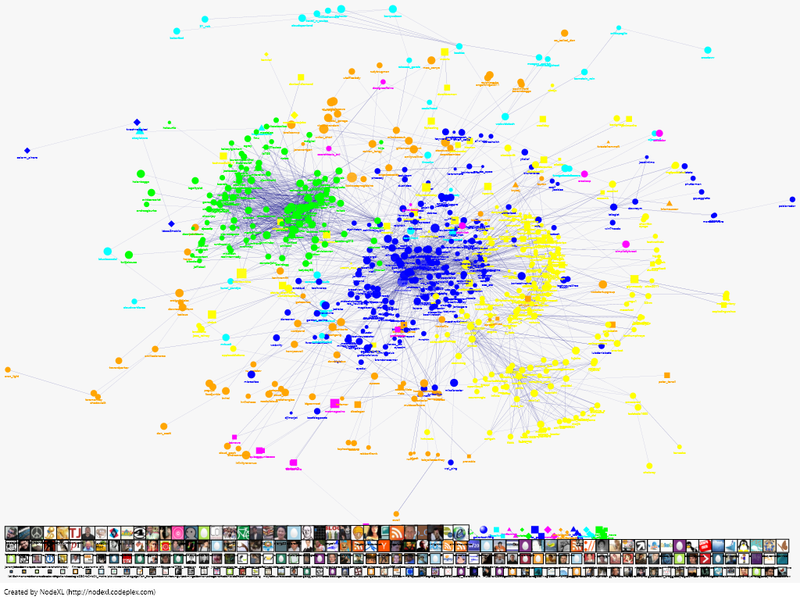 This is a “pinwheel” diagram using the author’s Facebook personal network (captured July 15, 2009). Nodes represent the author’s friends and links represent friendships among them. The author is not shown. Each ‘wing’ radiating outwards is a partition using a greedy community detection algorithm (Wakita and Tsurumi, 2007). Wings are manually labelled. Node ordering within each wing is based on degree. Node color and size is also based on degree. Nodes position is based on a polar coordinate system: each node is on an equal angle of n/360º with a radius being a log-scaled measure of betweenness. Higher values are closer to the center indicating a sort of cross-partition ‘gravity’. 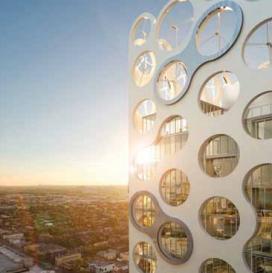 – The angle of each wing is proportionate to its share of the network. Thus 25 percent of nodes go from 0 to 90º. – Partitions are distinguished by their position rather than a node’s color or shape. – The tail indicates the periphery of each partition. A wing with many tail nodes indicates many people who are only tied to other group members. – Edges crossing the center show between-partition connections. Since nodes are sorted by degree it is easy to see if edges originate from the most highly connected nodes or the entire partition. 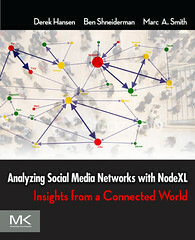 Bernie’s chapter on analyzing Facebook networks with NodeXL appears in the book: Analyzing Social Media Networks with NodeXL: Insights from a connected world. The Stanford Network Analysis Platform (SNAP) (http://snap.stanford.edu) is a high performance library for calculating network metrics of potentially very large graphs. Working with SNAP author and Stanford Computer Science Professor Jure Leskovec, the NodeXL team is releasing a new update with expanded support for network metrics. With SNAP integrated into NodeXL we have improved the scale and speed performance significantly (*very* significantly!). As of this release (v.1.0.1.122) the Betweenness Centrality, Closeness Centrality, and Eigenvector Centrality measures are calculated using the SNAP library. In addition we have added the Page Rank metric calculated by SNAP to the list of supported network measures. Two additional clustering algorithms automatically group nodes together into collections. With SNAP integrated into NodeXL we have added two clustering algorithms: Girvan-Newman and Clauset-Newman-Moore. What network metrics matter most to you?